Clinical studies in palliative care are relatively new and have not had ongoing exposure to monitoring procedures experienced by other disciplines. 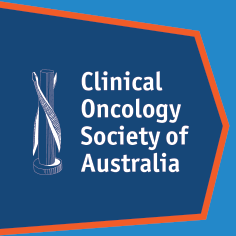 The Palliative Care Clinical Studies Collaborative (PaCCSC) undertakes an innovative and extensive monitoring process of the currently recruiting investigator initiated clinical trials to ensure quality clinical study data. Monitoring has evolved over the 6 years of PaCCSC. The evolution of the differing processes has been a combination of pragmatism, experience and refinement of the important elements of quality such as primary outcome, safety, and compliance with regulations. The processes have included the use of other study coordinators, study nurses, support monitors and changes in the breadth and depth of the specific elements being examined. Two studies have now completed recruitment and specifically used site staff to monitor the files at other sites. Our review of the monitoring processes of these studies demonstrates that while improvements are evident for some recruiting sites, the improvement has been variable. Where trial coordinators assisted with monitoring at another site, there was a 50% improvement in subsequent monitoring at their own site. Where study nurses assisted with monitoring at another site there was an 80% improvement in subsequent monitoring at their own site. Direct and timely feedback, regular ongoing education and involvement in monitoring has been an important learning tool in some sites and has led to demonstrated quality improvement. Despite using different processes, protocol violations and important data issues continue to be detected. Monitoring has ensured that both study and data quality can be improved and has resulted in the exclusion of some ineligible participants. The use of different monitoring strategies is integral to the process of improving quality. PaCCSC dynamic monitoring program is continually expanding the suite of monitoring strategies with work now being undertaken to include: study specific monitoring plans, centralised monitoring procedures and using a risk based approach.